For years, I treated going to sleep like playing the scratch-off lottery. Each night I would go to sleep hoping to rest well, but not really believing it was going to happen. On the rare occasion when I would have a great night’s sleep, I’d wake up feeling both surprised and delighted. Sleeping well has nothing to do with luck and everything to do with intentionality. I considered a great night’s sleep as the mere result of chance, a perfect storm of sorts. Like winning twenty bucks on a scratch-off. But sleeping well has nothing to do with luck and everything to do with intentionality. If you want to wake up most mornings feeling refreshed and ready to attack the day, then you can. It’s not easy, but it’s possible. What follows are five ways to improve your nightly quality of sleep. As you read, you will notice two things. First, I am not a medical doctor. 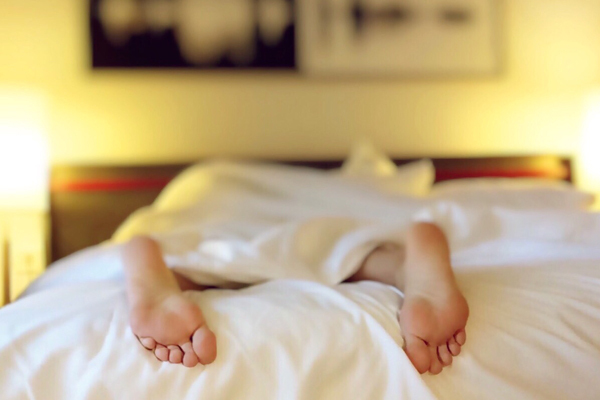 If you are having serious sleep issues, it is always best to seek the advice of a medical professional to rule out any potential sleep disorders. Second, the tips do not address the number of hours you sleep. This article is designed to help you improve your quality of sleep and is not contingent upon you getting a certain number of hours each night. Your body has a natural rhythm. It’s called your circadian rhythm. Every living thing has one. It’s basically a twenty-four-hour clock running in the back of your brain that cycles between feeling drowsy and awake in a pattern throughout the day. The best sleepers are the ones who align their sleeping and waking times with their circadian rhythm with great consistency. Have you ever noticed that you tend to be wide awake or sleepy at the same time each day? You have your circadian rhythm to thank for that. The best sleepers are the ones who align their sleeping and waking times with their circadian rhythm with great consistency. They have a set bedtime each night and wake time each morning . . . including weekends. That’s right, a great night’s sleep is a seven-day-a-week commitment. In fact, sleep professionals will tell you that, if you have to stay up later than normal one night, it is better to wake up at your regular time and schedule a nap than it is to sleep in. Bottom Line: Set a time for sleeping and waking that you can stick to each day. One of the most formidable opponents of a great night’s sleep is the day’s events. Good or bad, they can get in your head and make it very difficult to sleep. Those who regularly sleep well have a set routine that helps them detach from the day’s events. The key to this routine is the activity they set aside to relax. When choosing the activity you do to help you relax and let your body know that you are getting ready for sleep, you have to be careful. Many people will say that watching TV relaxes them. Some even go to sleep each night with the TV on. This is a mistake. The blue light emitted from your phone, TV, tablet, and computer is disruptive to your quality of sleep. In particular, TV reduces the level of your body’s melatonin—which is essential to sleeping well. Instead, try things like listening to music, reading, or a guided meditation. Bottom Line: Develop a routine that lets your body know it’s time to sleep by relaxing your mind. This one is pretty simple. Those who exercise regularly sleep better than those who don’t. When I say exercise, I don’t mean you have to become a gym rat or start training for a marathon to reap the benefits. Even something as simple as going for a ten-minute walk each day can improve sleep. But be careful about when you exercise. If you try to go to sleep within three hours of a moderate to vigorous workout, it could interfere with getting a good night’s rest. Bottom Line: Regular exercise improves quality of sleep. When you walk into your kitchen, your body reacts. Even if you aren’t hungry, you start to crave food. Why? Because our bodies naturally respond to an environment based on past experience. And, believe it or not, your body does this each time you climb into bed. Thus, if you teach your body to expect sleep when you climb into bed, you can decrease the time between your head hitting the pillow and you falling asleep. Here are three basic ways to train your body to expect sleep. Make your bed a place for sleep only. Don’t have a TV in the room, leave your phone and any other electronic devices charging elsewhere, and never eat in bed. If your body experiences only sleep in bed, it will more easily cooperate when it’s time to go to sleep. Keep your room at a cool temperature. Obviously extreme temperatures will affect sleep quality, but the body prefers a slightly cooler environment for sleep. Invest in a great bed and comfortable pillows. You will get a tenfold return on investment when your bed helps you wake up refreshed and ready for each day. Bottom Line: Your bedroom environment can either help or hurt you in your pursuit of a great night’s sleep. Modern man has attempted to replenish energy through artificial means. Coffee and energy drinks have become multi-billion-dollar industries. While this is good for the economy, it’s bad for sleep. Getting a great night’s sleep isn’t easy. It is the fruit of intentionally choosing to make sleeping well a priority in your life. Unfortunately, our consumption of energy boosters puts our bodies in a negative cycle which perpetuates our feelings of tiredness. For example, for most people, caffeine consumed ten to twelve hours before bedtime negatively affects the quality of your sleep! So that 4 p.m. cup of coffee might boost your energy in the moment, but you will pay the price that night while you sleep, making you extra tired in the morning! The same goes for food. If you fill your days with significant amounts of sugar or refined carbohydrates (like pasta and white bread), this will negatively affect your sleep. On the other hand, foods like bananas, walnuts, kale, and tuna will all help you when go to hit the hay. Bottom Line: Be intentional with what you put into your body. Getting a great night’s sleep isn’t easy. But it also isn’t the result of chance. It is the fruit of intentionally choosing to make sleeping well a priority in your life. 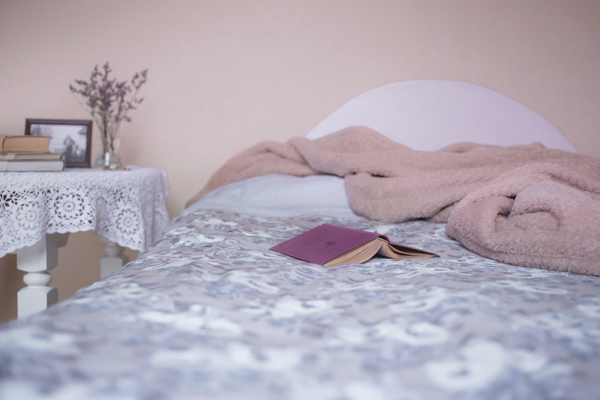 If sleep is important to you, then you will be intentional about what you put in your body, what you do in your bed, how often you exercise, whether or not you spend time relaxing before bed, and when you go to sleep and wake up each day.